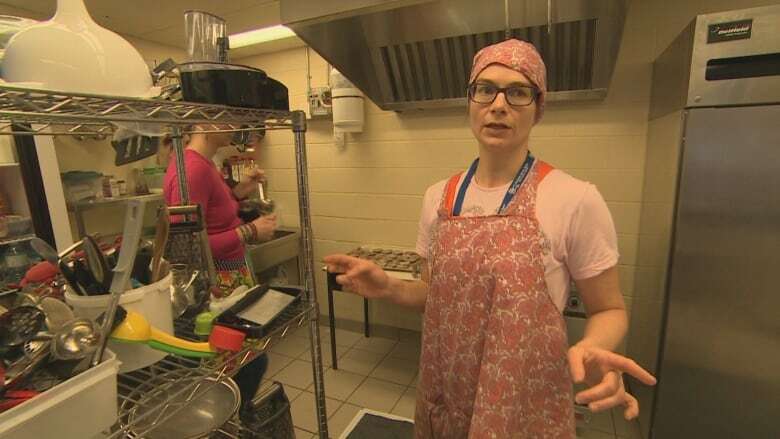 When Sue LeBlanc noticed some young students were eating better than others at Chester Area Middle School in Nova Scotia, she couldn't help but think about hard times in her own life when she struggled to feed her family. "I know what it's like to be there," said LeBlanc, who is known affectionately as Cafeteria Lady and Organic Sue. "And it's a hard time in middle school to fit in, and I felt like this was a really great opportunity to have this time where they all had access to the same thing." So LeBlanc decided to give up her month's paycheque, apply for grants and request money from the school board to give each child the chance to eat healthy for the month of February, for free. For the last month, LeBlanc has helped whip up healthy lunches for the 140 students at the school. Each day, there has been a salad bar, a homemade soup and a hot main course. "Not all of the students could access the healthy food that we were offering," said LeBlanc. "And we've seen that there's a positive peer pressure that develops amongst the kids about trying new things. They get excited, they start talking about food." When it came to funding the lunches, LeBlanc said the goal was to feed each student for $1.50 per day. "Some days go a little over, some days go a little under," she said. LeBlanc said she hopes the lunch program will catch the attention of the federal government. She wants them to see that "it's affordable to feed our students well." Jennifer Lemire, vice-principal of Chester Area Middle School, said students are enjoying the menu. "They're talking about healthy foods now. They're putting shredded beets on their salads now and loving it. Chickpeas, there's been kiwis some days, mangos, and they're all talking about it. It's been fabulous," Lemire said. "And we've gotten some really great feedback from parents indicating their children are now trying things they've never tried before."